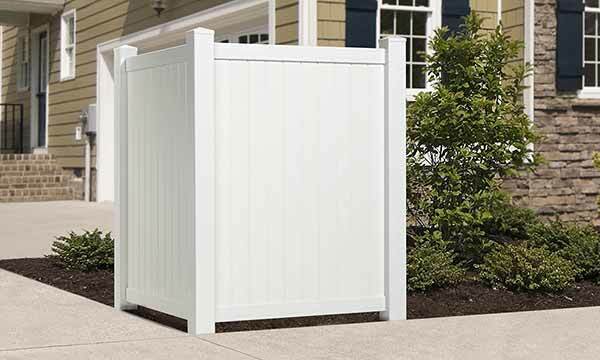 This versatile L-shaped picket fence is great for people who like to change things up, because it’s super easy to move around. You might want to screen your AC unit this year, but next year you might need a corner accent fence in your flower garden. Pieces slide together and lock in place. No posts to bury. It can sit on top of concrete, or, you can secure it to the ground with included stakes (they go inside the posts). Quality PVC vinyl is manufactured to withstand UV rays and normal temperature fluctuations. It eliminates the weatherproofing nonsense that ruins your day off. To clean, just hose it off.